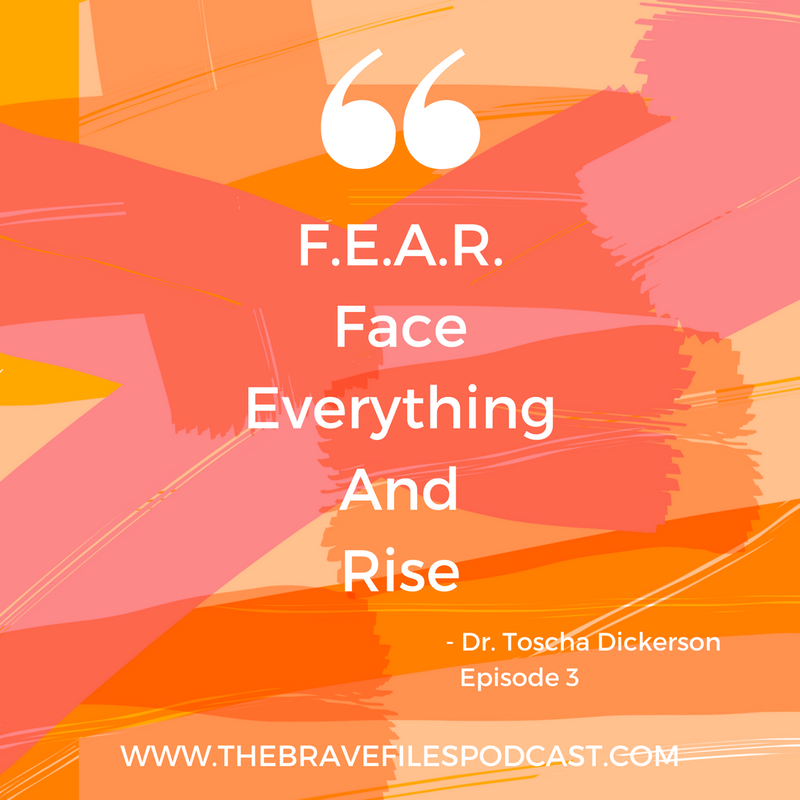 Dr. Toscha Dickerson | The Brave Files, Face Everything and Rise. 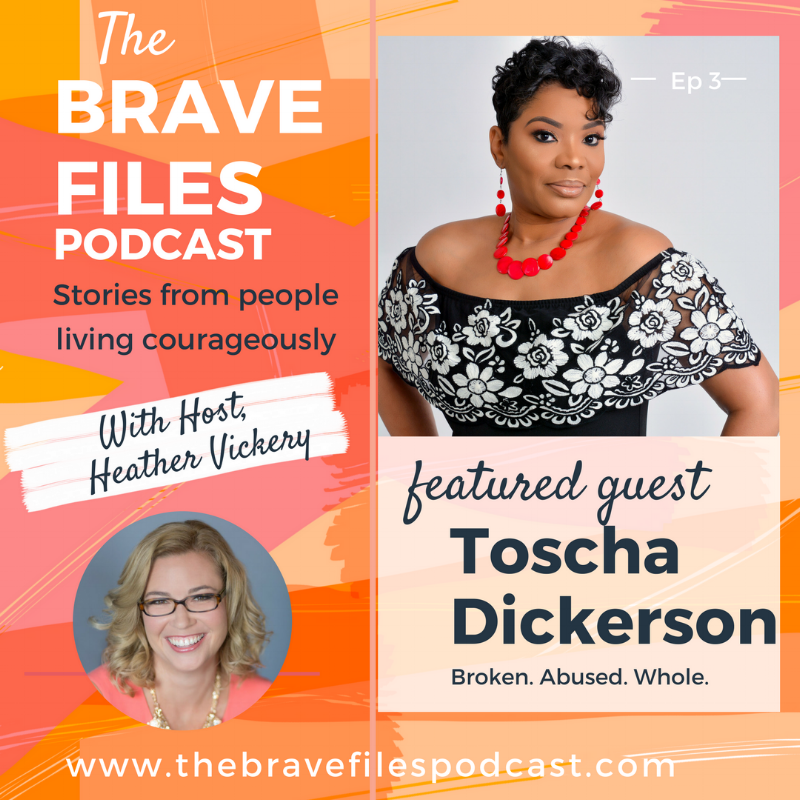 Dr. Toscha Dickerson joins us for very impactful and sadly too relevant episode of the Brave Files. Toscha is an inspiring woman of many facets, but most notably known today for her work with non-profit ’S.T.R.E.S.S.O.U.T.’, (Striving to Reveal, Encourage, Succeed, and Strengthen Others by Uniting Together) and as the author of ‘Sisterhood: Traveling the Scarlet Road to an Authentic Life’. All too often, and especially now, we hear stories of women (and men) who have dealt with abuse in their lives. Be it physical or emotional, this abuse leaves a profound mark and impacts our lives in many different ways. In every instance, it leaves the victims changed. Far too often we go through our lives thinking what would have happened if we did one thing differently, made one different decision. Everything would be changed but would it be for better or for worse? 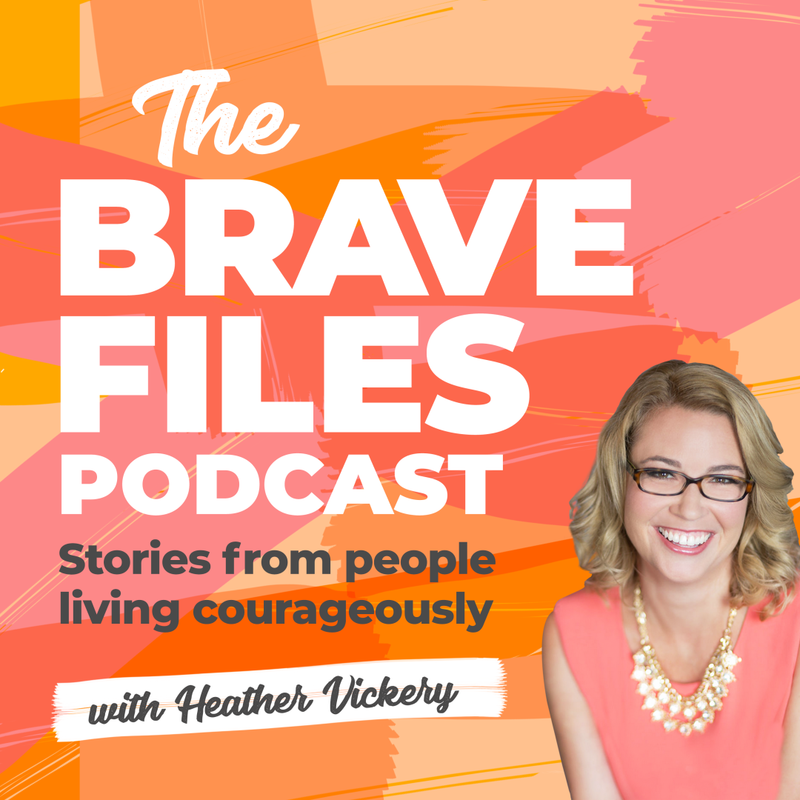 The Brae Files host, Heather Vickery, always says “Fear either owns you or empowers you” and Toscha agrees. Both women say you shouldn’t want to be fearless. Brave is greater than fearless because, without fear, we never get the chance to be brave and there are so many gifts in bravery. Heck, we even designed a t-shirt that says “Brave > Fearless” you can purchase it here!). Inspiring, moving, and touching, this week’s show will hit home with many, and become a beacon of light as well. FEAR is an acronym. You can either Forget Everything and Run. Or, you can Face everything and Rise! We find ways to convince ourselves that something is acceptable when it’s not. Act now! There is ALWAYS another day. Let your fears inspire you and keep moving forward. 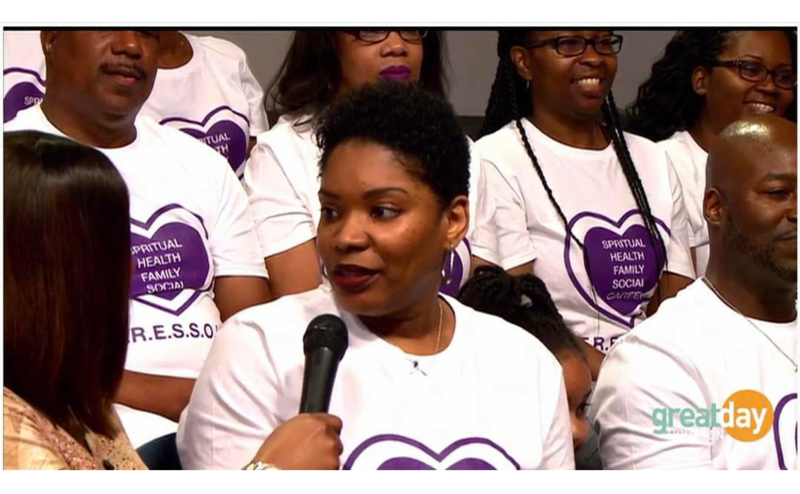 Outside of her own organization, S.T.R.E.S.S.O.U.T., Toscha loves 2nd Chance, another group that helps previously abused women (and men). 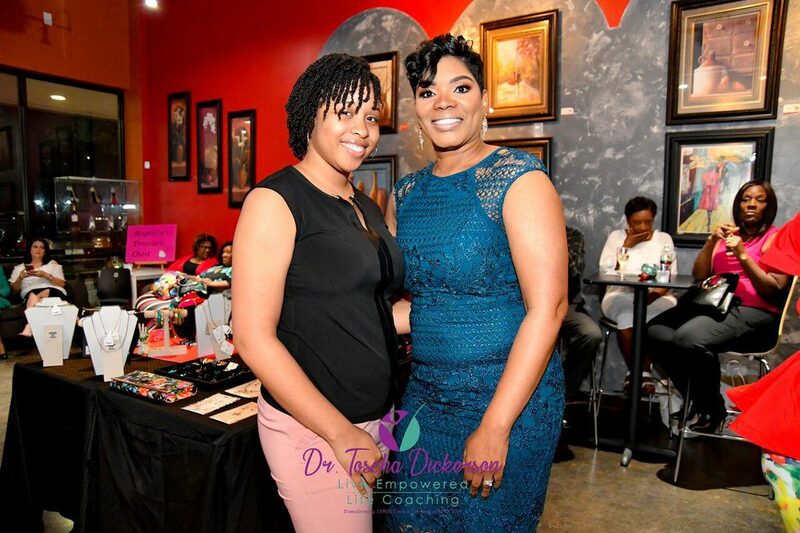 Dr. Toscha Dickerson is an author, certified life coach, and founder/owner of Stress Out, a non-profit aimed at helping abused women get back on their path. Toscha, like many others, saw her fair share of abuse at a young age. 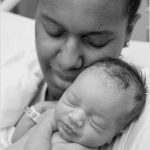 Luckily, those moments of fear changed her and started her on the journey of where she landed today. 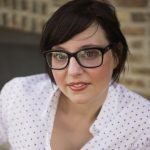 Currently based in Houston, Toscha works with abused women in helping get their lives back to normal, often times many of which are recently out of jail. Toscha with a young lady that was honored at an event because she graduated from college despite all her obstacles. Toscha telling her story and raising awareness for her organization on the Great Day Houston Morning Show.